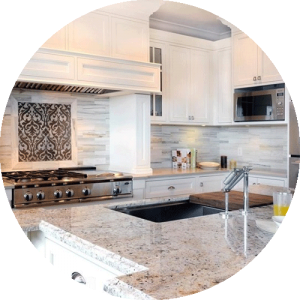 Custom Stone Works was founded in 1999 in Livonia, MI and has continued to grow as a dominant fabricator, supplier, and importer of natural and manufactured stone products. We provide Limestone, Granite and Quartz to Livonia residents and commercial property owners as well as the surrounding areas. We provide limestone to Ohio, Illinois, and Pennsylvania as well. We are known for superior quality of stone, outstanding craftsmanship, competitive pricing, and exceptional service. Whether you need floors, countertops, building facing, or other residential or commercial property need, we’ve got you covered.